Just a few years ago, the debate was still going strong. “This is not a disease. People have the capacity to take control of their lives. It’s a disorder of choice.” Sound familiar? In 2010, Harvard’s Gene Heyman made these arguments against dealing with addiction as a disease in a popular book from the Harvard University Press. This week, by a vote of 98 to 1, the Senate passed sweeping legislation for dealing with the disease of addiction. How did the the politics of this issue shift so dramatically is a few short years? What are the implications for obesity policy? Public health advocates are praising the commitment to treatment and recovery, now widely seen as critical for overcoming the opioid epidemic. Where did all this political action come from? It came from communities that are suffering and speaking out. It came from families that lost loved ones from all walks of life. But most of all, it came from people pushing past the stigma of addiction to insist that their losses must be respected. Their loved ones and their grieving will not be erased and pushed into a closet. This legislation edges us closer to treating addiction as the devastating disease it is, but it neglects to provide the long-term investment we’ve seen in responses to other major public health crises. 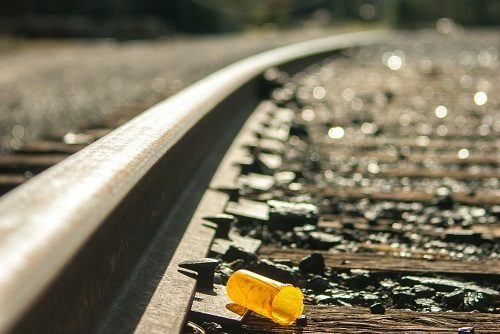 We won’t be able to make meaningful progress against the tide of addiction unless we make significant changes to incorporate addiction treatment into the existing health care system. Progress toward more effective policies for addressing obesity is at a much earlier stage. We’re gaining momentum, but the mainstream response still relies more on bias than science. Too many policymakers still see obesity as a behavior that’s easily reversed. Children and parents find themselves silenced by stigma and bullying. But all the clever advertising in the world for cartoon veggies won’t do a thing for six million kids with severe obesity. Nothing short of a real commitment to medical obesity care will do anything for them. Wishful thinking and benign neglect isn’t helping. Click here and here for more on the opioid legislation. For more on parallels between the health issues of opioids and obesity, click here and here.